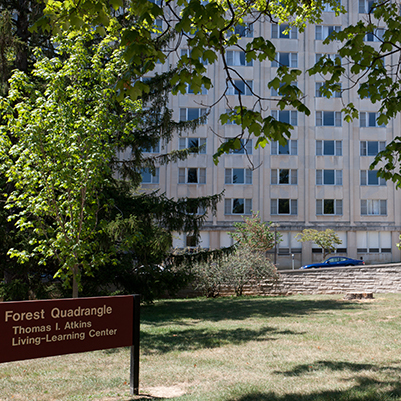 This project will involve renovating 11 floors in Towers A and B of Forest Quadrangle on the IU Bloomington campus. All 555 rooms will be redecorated with new paint, carpet, and finishes. New fire alarm systems throughout each tower will be installed. Each tower will have its own annunciator panel and will be connected to the new alarm system being installed in the central building as part of the dining hall project.